Every day, Watch This offers staff recommendations inspired by the week’s new releases or premieres. This week: It’s 1995 Week here at The A.V. Club, which means we’re shouting out some of the forgotten or underrated triumphs of that year. Few things are more pedantic than opening a movie about a serial killer with a scene featuring a classroom lecture addressing the question, “What’s a serial killer?” It’s about as heavy-handed an introduction to the subject as could be imagined, like prefacing Mr. Smith Goes To Washington with Schoolhouse Rock’s “I’m Just A Bill” video. 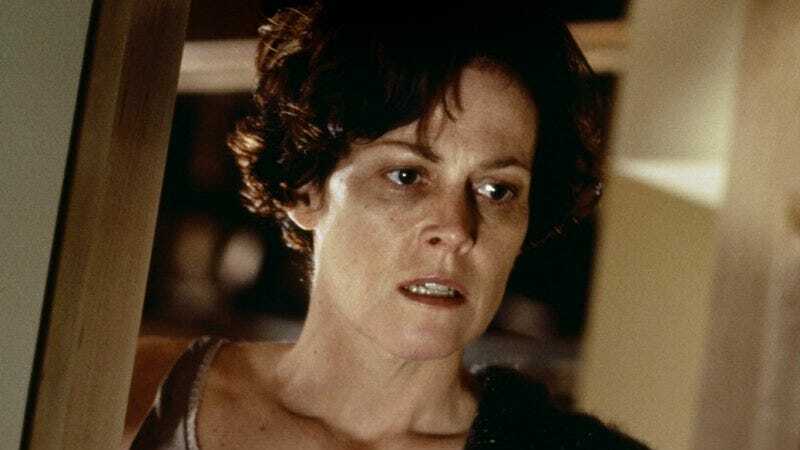 But if you’re going to do it, you could do much worse than have Sigourney Weaver be the one on lecture duty. She helps the “Keep It Simple, Stupid” tactic seem less like homework, and more like your necessary education from an actress who can make most any dialogue feel fresh. And that’s a nice analogy for the serial-killer thriller Copycat as a whole, because the entire film is the work of a talented director, cinematographer, and actors all elevating an oft-clumsy script into a smart and gripping yarn. Weaver plays Dr. Helen Hudson, an expert on serial killers whose own assault by a knife-wielding maniac (memorably embodied in only three short scenes by Harry Connick, Jr.) instilled in her a crippling agoraphobia. Unable to leave her lavish and large San Francisco apartment, she keeps the world at bay through pills, booze, and an uncivil temper. But when a pair of detectives (Holly Hunter and Dermot Mulroney) ask for her help in a new series of murders, she quickly gets caught up in the case—to the point where she becomes the killer’s ultimate target. Despite dialogue that periodically veers into hack territory (“You’re one pushy broad,” Hunter’s boss tells her, because it’s apparently the 1930s in his head), Copycat sneaks some interesting and subtle themes about gender and interpersonal relationships into its cat-and-mouse games. We get to know Hunter and Mulroney’s characters through shop talk, with their respective versions of professionalism illuminating their views on men, women, and the knotty questions of workplace romance. Odious exes, and the expectations men have of the women around them, make for some sharp critiques of male privilege, as does having Weaver’s doctor cut through small-talk platitudes and social niceties with verve. There are discussions of attraction and desire that wouldn’t be out of place in one of Eric Rohmer’s Moral Tales. But this is no talky arthouse offering: The film’s primary interest is the business of killing people in creepy ways. Director Jon Amiel turns Hudson’s apartment into a staging ground of jagged angles and stark interplay between light and shadow. Hunter’s Inspector Monahan, arguably the real star of the show, is presented as a can-do hero, and an early extended tracking shot through a crime scene elegantly conveys her skill without having to telegraph it. By the time the film ends with a lengthy close-up of Connick, Jr.’s face, lost in thought about his next deadly scheme, Copycat has superseded its potboiler tendencies and delivered a smartly constructed Hollywood suspense tale. Amiel hews admirably to a “show, don’t tell” philosophy, even if the script resists it. Availability: Copycat is available on Blu-ray or DVD from Netflix or possibly your local video store/library. It can be rented or purchased through the major digital services.